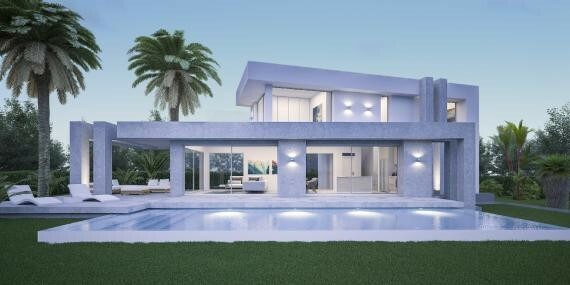 This exceptional design villa is located in the exclusive urbanization of Monte Olimpo, just 7 minutes from the sandy beach and close to restaurants, shops and the Javea Golf Club. The 1000m2 plot is almost flat and has a beautiful panoramic view of the sea and the mountains. The exclusive architecture with its angles and unusual edges ensures attention. 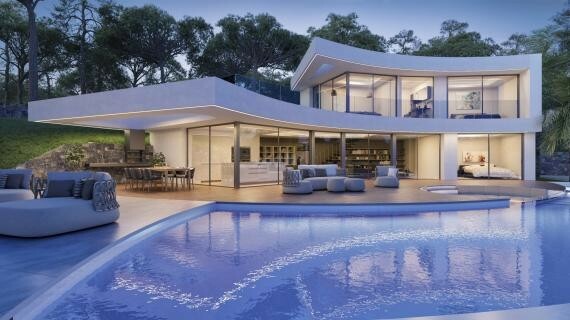 The practical floor plan guarantees a comfortable life in this villa. On the ground floor is the entrance which leads into the large open kitchen with dining area and adjoined salon. From here the outdoor areas are accessible with the large terraces, a 12m x 4m infinity pool and a chill-out zone. A comfortable guest room with bathroom, a guest toilet and the technical room complete this floor. Upstairs is the large master bedroom located with open bathroom, and two more guest rooms with a joined bathroom. 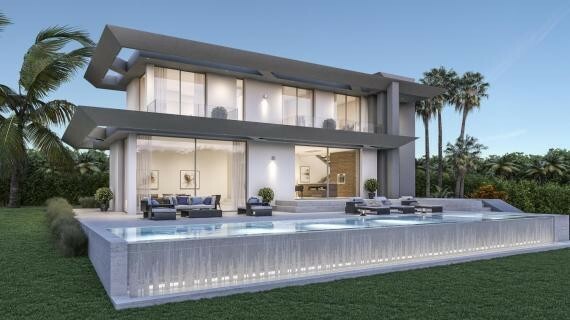 A villa to feel good, built in the highest quality with high-class materials.